An artist dreamed up an iPod touch almost as big as the iPad mini. 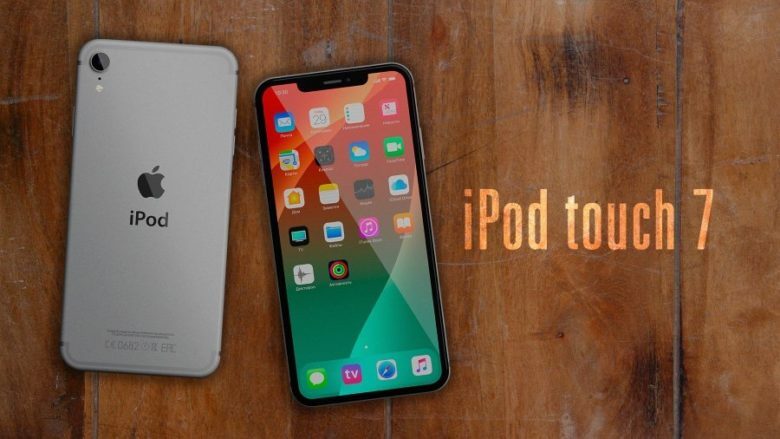 New versions of the iPod touch and iPad mini are reportedly coming out this year, and one graphic designer imagines what would happen if Apple combined these into one. The proposed device would resemble an iPhone XS Max but with an even larger display: 7 inches. Still, this iOS tablet would be smaller than any previous iPad mini, all of which have 7.9-inch screens. The concept was dreamed up by Антон Курилов for his website Rozetked. And to be clear, this isn’t a leak; no one claims Apple is actually making this. Курилов came up with it himself. This designer suggests that the device have a 7-inch, 1920 by 1080 screen. To lower the cost, this shouldn’t be an AMOLED. The tablet would run iOS on the Apple A11 processor released a couple years ago. There could be 2GB of RAM and 128GB or 256GB of storage. Курилов suggests Face ID be included to make room for a larger display. He also wants wireless charging and NFC. The designer goes somewhat out on a limb to say this should be the first iPod touch with cellular-wireless capabilities. Apple has always described these handhelds as an ‘iPhone without a phone.” That said, the iPad mini has an LTE option, and Курилов is suggesting his concept device have LTE for wireless data rather than it be used as a huge phone. His hope is that the proposed iPod touch would sell for $400, or about a third of the cost of an iPhone XS Max. While this model isn’t on Apple’s drawing board, something similar could be. There really have been unconfirmed reports that a seventh-generation iPod touch and an iPad mini 5 are in development. That’s despite neither of these product lines being updated since 2015.